Hi Regan! I am so happy that you had a chance to create a postcard! I really enjoyed reading it. When I was younger I used to play soccer too (or football as you call it). It can be so much to play a game with friends. My friends are really important to me and I always try to be nice to them. I think that is my greatest strength - my kindness. It is really great what one kind person can do for another - it can make all the difference! 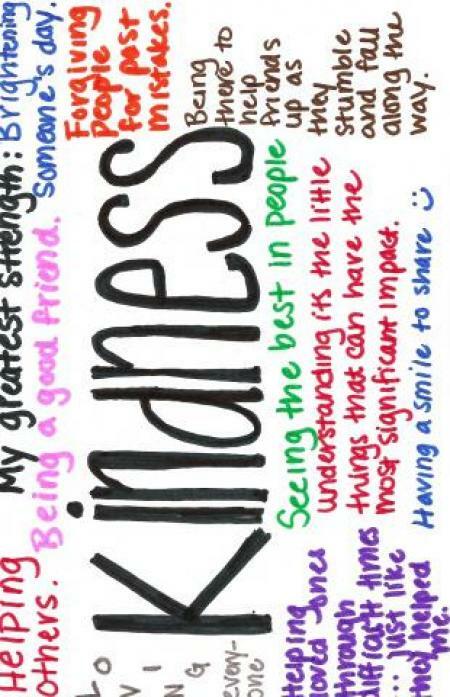 I try to be kind to others as often as possible and am alway grateful for the nice things my friends do for me. It can be hard though, at times, to be nice to people, especially when I get really busy with work and school. Every once in a while I try to remind myself about all the wonderful things i have in my life and why I should be kind to others. What do you think your greatest strength is? I'm sure you have lots! I'd love to hear more about you and your stregnths. I look forward to hearing from you!